Liftopia offers resorts a white-label product that enables them to sell tickets on their own websites. It is powered by Liftopia, but under the domain LTIBOOKING, which shows in the URL. We found that some customers were inquiring about LTIBOOKING and doing a bit of sleuthing by truncating the URL and coming up with a blank white page—not a great, trustworthy experience when you are about to hand over your credit card information. 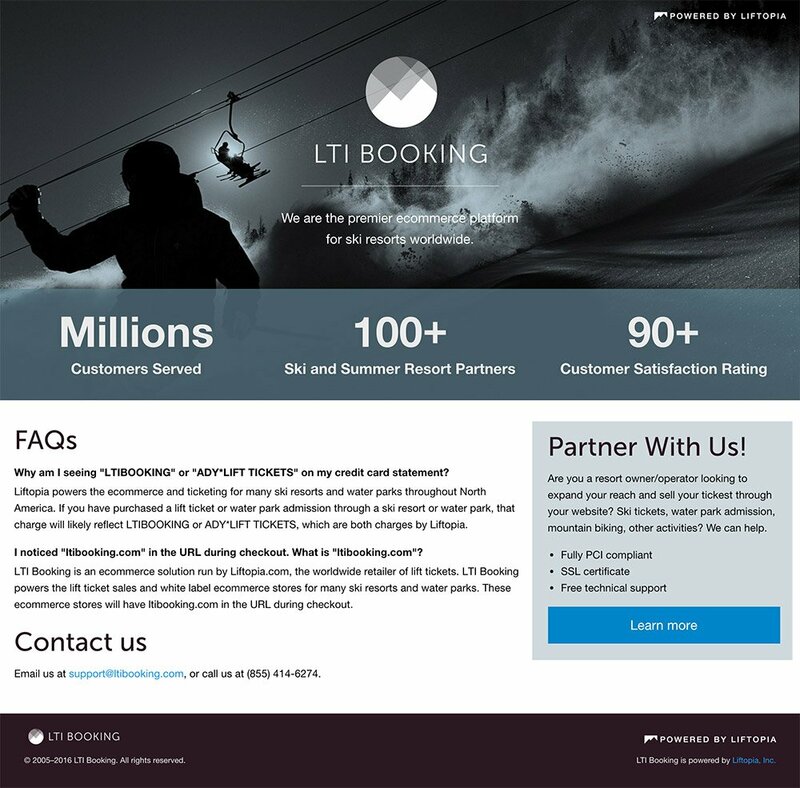 This project was to design a single landing page to help explain what LTIBOOKING is, build trust with the user, and quickly answer common questions they may have.